Biafra Nations Youth League, BNYL, has warned the security agencies to stay away from 30th May Biafra day. 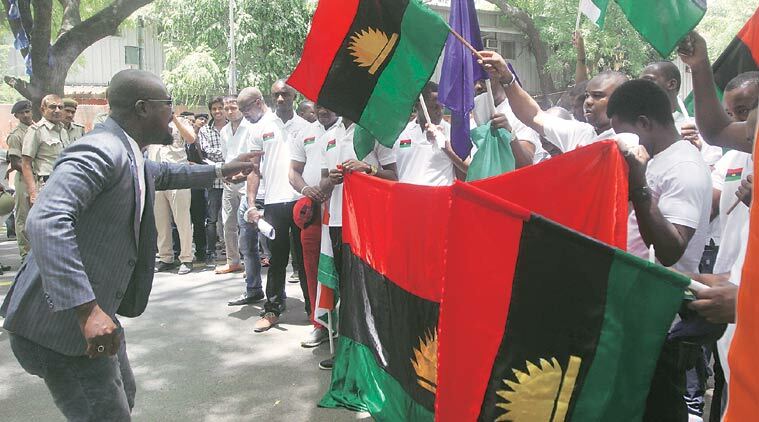 The group said it would not tolerate killing of Biafran supporters on the day. BNYL leader, Princewill Richard, in a statement on Friday, said, “We know that our unity as a people is a big threat to the government of Nigeria. “We are equally aware that they have sharpened thier knives to drink blood that day, but we will resist in one way or the other”. The BNYL, however, cautioned pro-Biafra groups not to allow hoodlums hijack their activities. He condemned the recent proclamation by the self acclaimed President of the Biafra Zionist Federation, BZF, who urged supporters to gather at Enugu government house for hoisting of flag and Biafra re-declaration. BNYL warmed that such act was not part of the struggle. “No one should come out; he has no agenda, he should submit to closest group in Enugu or if he is aspiring to be a governor then he should join a party and contest we will vote for him being a Biafra agitator. “I don’t know why he keeps repeating his previous activities that is yielding no good results, acting like a tout and yet condemn others. “Biafra is far beyond all these child’s play, and what baffles me is that those turning the struggle to caricature are men of 50 years and above”.